Try as we might, it’s just impossible for us to be at every festival worthy of DN coverage. 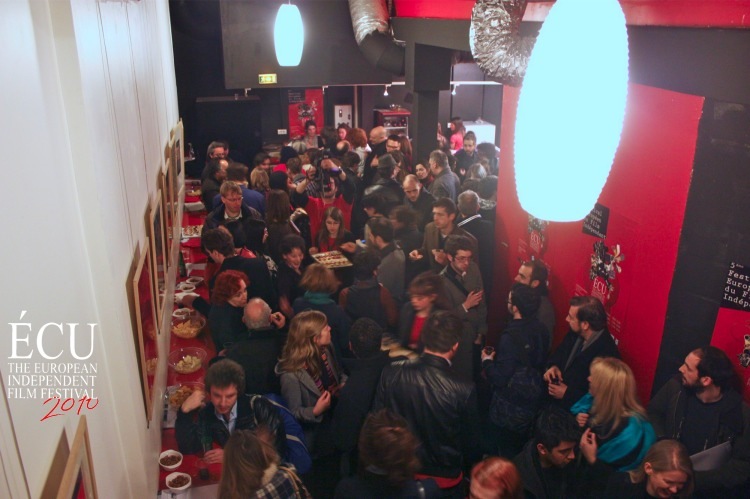 The fourth year of Paris’ European Independent Film Festival (ÉCU) is one such place. So we asked writer Moze Halperin to bring DN the lowdown on this year’s festival. Something of a novice as far as film festivals are concerned, I’m caught off guard as I’m stampeded out of the intimate hall (really, though, a corridor that compensates with the title “Le Grand Bar”) of the Cinéma Grand Action in Paris’ Latin Quarter, in which the entirety of the Friday night ÉCU film festival crowd are packed like stylish and remarkably prolific independent-film making sardines. Tonight people have gathered for a series of eight short films, each one of a caliber worthy of an “official selection.” It’s a sea of accomplishment and post-toil catharsis– half of the people in here have made a film in the far reaches of Europe (and even the world), and here they all are chatting over bar pretzels. It’s a sight to behold– only I cannot, as I am being swept away, up to the screening room. I have a macaron (Paris’s best flour-based offering) in one hand, a delicious albeit amorphous and alien berry sandwich cylinder-mini in another hand, and my third glass of wine somewhere in my third hand. I’m feeling antsy to talk to some filmmakers, albeit unsure of who is who, what language I’ll be expected to speak in, and inevitably afraid I’ll somehow accidentally blabber something cinematically sacrilegious like, “yeah, I really noticed Mermaids’ influence on your style. That actress of yours is beautiful, kind of Meg Ryan-ish circa 2008.” Well, only time and a couple of interviews will tell.